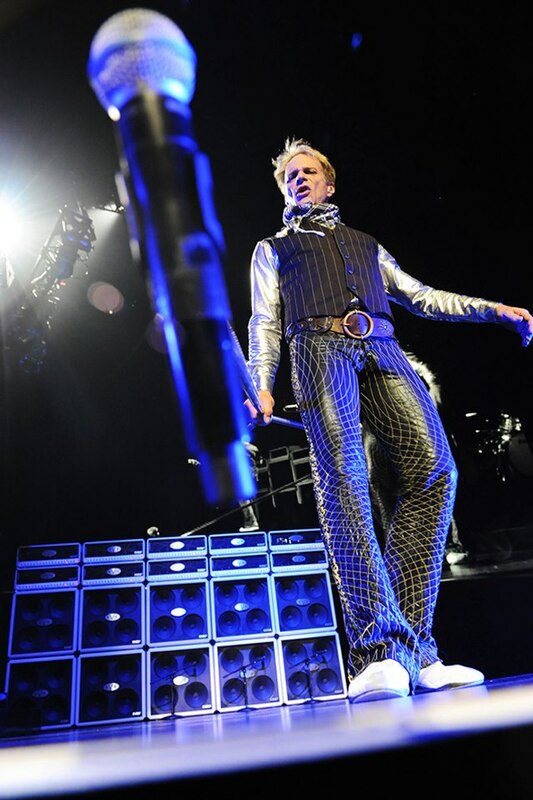 David Lee Roth first made headlines in January with news that the Van Halen rocker was being sued by a landscaper over an alleged attack by his dog. According to a report by TMZ, Timothy Salinas said he was doing maintenance work in Roth's Pasadena, CA yard when the singer's Australian Cattle dog suddenly attacked and took a chunk out of his lower left calf; Salinas added that his boss told him he'd lose his job if he reported it. Roth's lawyer, Ed McPherson, billed the issue as nothing more than a celebrity shakedown, pointing out that Salinas waited 47 days before going to the hospital and that the singer was only made aware of the alleged incident after the landscaper filed an insurance claim. April brought sad news to the Van Halen family when former bassist Michael Anthony lost his infant grandson, Rex, at just two weeks of age after he failed to recover from successful open heart surgery following a diagnosis of heart disease just hours after his birth. When Anthony announced plans to raise funds for the Los Angeles Children’s Hospital as part of the annual “Walk L.A.” event in June, Roth topped his former bandmate’s list of supporters with a $10,000 donation. In early September, Roth performed at a benefit for the Brent Shapiro Foundation at a private estate in Beverly Hills, CA. As Van Halen continued their extended hiatus following a 2015 North American tour, there’s been no reports of activity within the camp, outside of word that bassist Wolfgang Van Halen continues to work on his debut solo album, which is expected to arrive in 2018.